Yesterday, I woke up at a normal (early) time, caught a bus, and went to church. 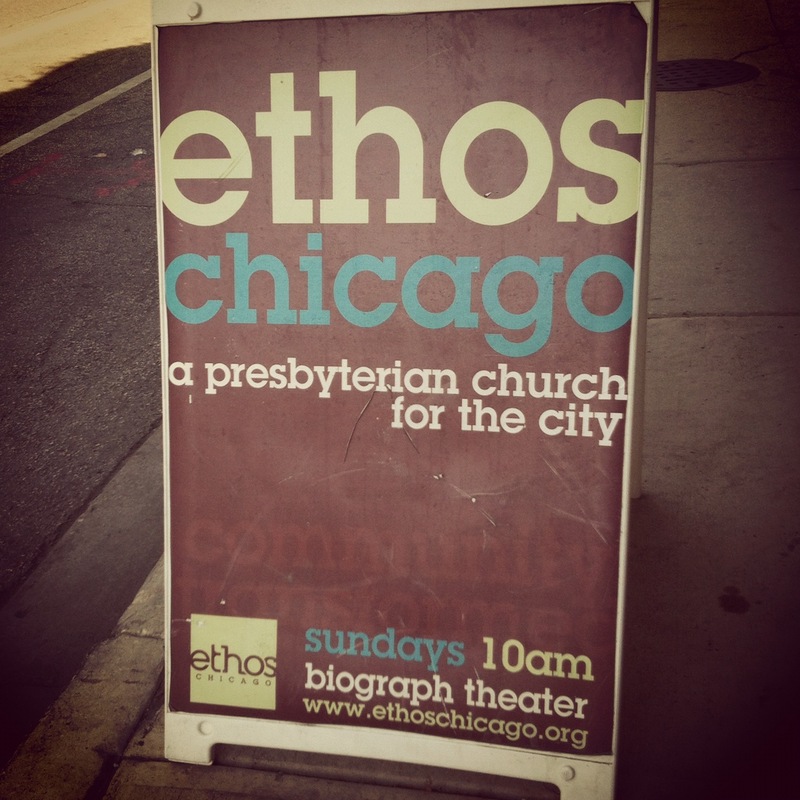 At my absentee hosts’ recommendation, I visited Ethos Chicago, a Presebyterian church that meets at the Biograph Theater on North Lincoln Avenue. Two things were a little strange about this: 1. Not waking up at 6:15 (although I did get to text back and forth with a couple of our folks in the morning) and 2. Relying on the bus to get to church. I didn’t mind the first one, but the second one was a little stressful. I have used the heck out of the CTA, traveling solely by train and bus while I’ve been here, and relying on my phone and the map app to get around. Getting to Ethos required two buses. I caught the first in plenty of time, but somehow missed my stop. I got off on the next stop and realized I needed to cross the (typical, large, multi-street Chicago) intersection to catch the bus going back the other way. As I was waiting for the crosswalk, the bus appeared. I basically ran out into traffic to chase down the bus, and managed to not die. And once on the bus, miraculously, I was *right* on time to catch the second bus. Things were well, indeed. The speaker gave a great gospel-centered talk on worship, and the music was fantastic (cf. earlier mention of lap steel!). I met a bunch of people (throwing around my awesome absentee hosts’ names a ton), and everyone was ridiculously nice to me. AND one of the worship team members is an intern at Bloodshot! I ended up going to lunch with some of these folks (who were mostly with the worship/music team and were also interested in my project), and even lined up an interview with someone who is familiar with the scene! Over lunch, I heard some of the challenges this team is/was dealing with throughout the day, and that combined with the message on worship, reminded me of how most of the stuff that I’m freaking out about on a Sunday morning is generally unnoticeable by the vast majority of attenders… well, except for last week when no one could hear Senior Pastor, but generally, it’s not that big of a deal. 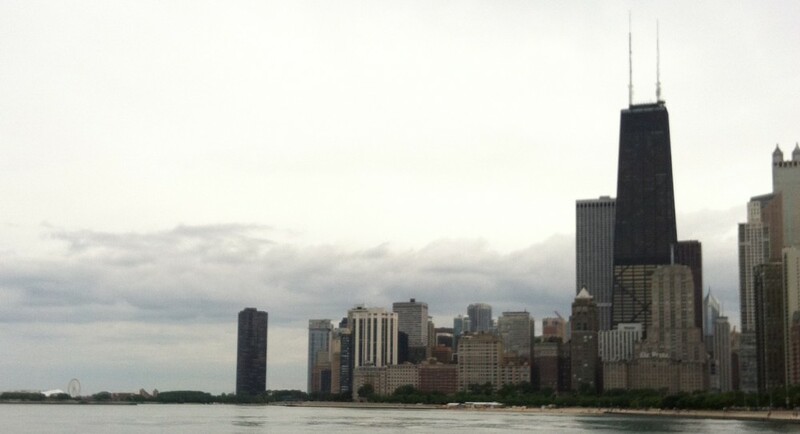 But right now, I’m just thrilled with the way yesterday, and this trip thus far, has turned out. This entry was posted in church hijinx, post-Sunday post and tagged Chicago, church by npriley. Bookmark the permalink. Obviously you have found The Way. I always knew you were really a Presbyterian!